THIS HAS BEEN MY PERSONAL CAMPER FOR THE LAST 2 YEARS AND WE HAVE HAD SOME EXCELLENT HOLIDAYS IN IT.LAST YEAR WE WENT TO THE SOUTH OF FRANCE AND IT DROVE WITHOUT FAULT AND CRUISED AT 70MPH EFFORTLESSLY THE WHOLE WAY. 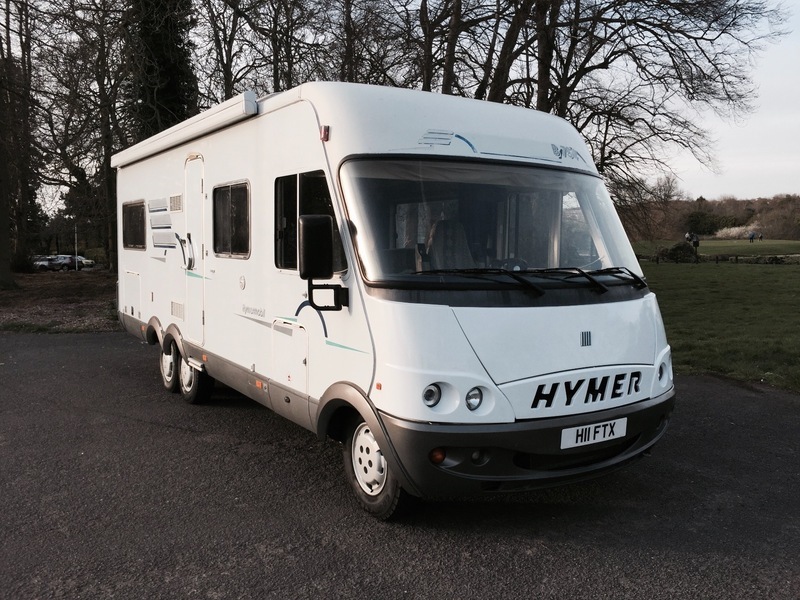 THE CAMPER IS FINISHED TO THE USUAL HYMER STANDARD AS IS LOADED WITH EVERYTHING YOU NEED FOR COMFORTABLE CAMPING WITH ALL THE EQUIPMENT YOU NEED. LARGE FRIDGE FREEZER,MICROWAVE,HOT COLD WATER,SHOWER,CASSETTE TOILET,VANITY UNIT IN REAR BEDROOM AREA. BLOW AIR HEATING. ELECTRIC STEP. SOLAR PANELS.LARGE GARAGE AND SIDE STORAGE UNITS. TWIN GAS BOTTLES. OVEN/HOB. TWIN SINK. EXTENDING TABLE. LARGE FRESH WATER TANK. LARGE WASTE WATER TANK. BLACK OUT BLINDS AND FLY SCREENS ON ALL WINDOWS AND SKY LIGHTS. REAR PARKING SENSORS. REAR LADDER. 4 BIKE REAR CARRIER. THE LIST GOES ON PLEASE CALL WITH ANY QUESTIONS.WE OFFER FINANCE, PART EXCHANGE AND EXTENDED WARRANTY ON ANY CAR. ALL OUR AA APPROVED VEHICLES COME WITH 12 MONTHS FREE BREAKDOWN COVER.